Few things are more important than comfort, and Wood Air Conditioning, Inc. aims to make your home or business as comfortable as possible. 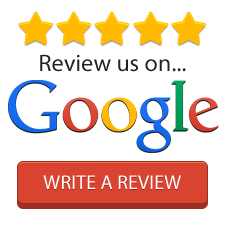 For over 60 years, Wood Air Conditioning, Inc. has brought comfort, quality, and satisfaction to Mount Pleasant and the Titus County area. Our full-service air conditioning and heating technicians provide installation, service checks, and repairs with state-of-the-art technology and equipment. All Wood AC technicians carry the Technician Seal of Safety, meaning that they have been drug tested, background checked, and professionally trained. Only a select group of dealers in the state of Texas offer this important symbol of trust. All of our employees are drug tested, undergo background checks, and are registered with the state of Texas. Customers say Wood Air Conditioning, Inc. responds quickly to service calls and is flexible with its scheduling, causing minimal disruption to their day. “We do what we say we’re going to do when we say we’re going to do it. We get in, get the job done and get out,” co-owner, Mr. Robinson says. “The key to that is having the most dedicated, best-trained people.” “Our motto is, Fixed Fast! Fixed Right!” adds the other co-owner Tommy James. Wood AC also helps its customers find ways to reduce their energy bills. In addition to a thorough cost-benefit analysis, it offers a variety of Energy Star options aimed at saving you money. Joining Wood AC’s Comfort Plus Club will help you to save even more. With this service agreement, you’ll get two comprehensive tuneups a year, and enjoy discounts on repairs and equipment, plus priority, after-hours and weekend service at no extra charge. Honored in January 2011 with the Governor’s Award for Small Business, which recognizes leadership and involvement in the community and partnership with local businesses and colleges, Wood AC is dedicated to quality service and guarantees 100 percent satisfaction with its work. Promising to get your air conditioning and heating system Fixed Fast and Fixed Right!, Wood AC will have you on the road to comfortable living in no time.